By joining forces, community developers and health professionals can have a more powerful impact. Sign Up View Past Issues A monthly roundup of what we’re reading and where we’ve been at the intersection of community development and health. A gathering place for stories illustrating community investment — creating neighborhoods that promote health and wellbeing for all. 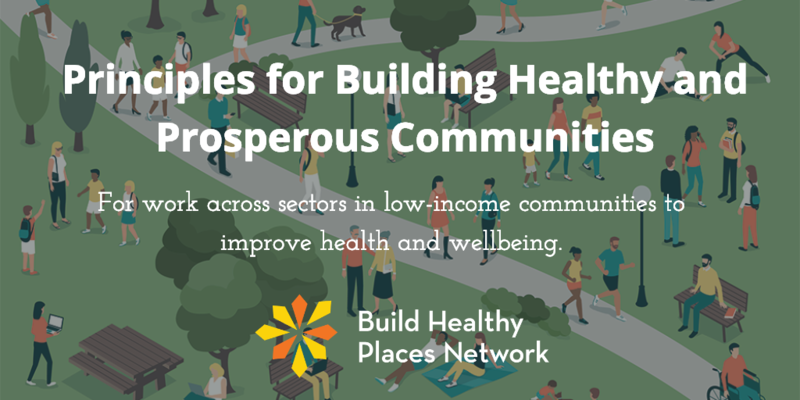 Produced by the Build Healthy Places Network. Looking for partners in your local area? Check out our Partner Finder to see who is near by you! A joint effort between the regional Federal Reserve Banks and the Robert Wood Johnson Foundation to deepen collaboration across the sectors of community development, finance, population health, and public health.